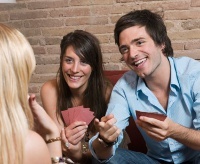 What kind of Bridge player are you!? 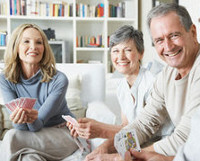 If you’ve never played before, come to our Beginning Bridge course (Red). No prior experience of Bridge or card games necessary. We run this on a Saturday (Bridge in a Day). 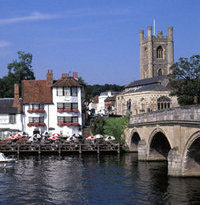 If you played a little while ago but not much since, join us on our Continuing Bridge course (Orange). This assumes a basic understanding of how to play and extends your knowledge beyond the beginner stage. This is ideal to give you confidence to start playing again. 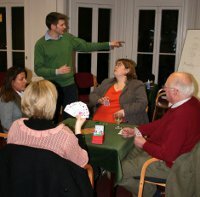 If you play Bridge with family or friends, you’re a perfect fit for The Henley Bridge School: our emphasis is on the enjoyment of Bridge in a welcoming and relaxed atmosphere. Our Supervised Play sessions would work really well to sharpen your game and give you confidence to play more regularly. For lessons, Refresh & Build 1 is designed specifically for you: we revise key themes and provide a solid set of foundations to play Bridge anywhere. Alternatively, consider personal tuition tailored to your group – contact Jon Green to discuss private classes. 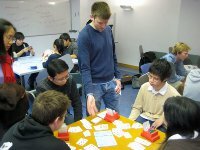 If you play Bridge regularly at a local club, our more advanced lessons (Key Conventions 1 and Key Conventions 2) will sharpen your Bridge game and improve your results. Our principal Bridge teacher, Jon Green, is a former junior international and national standard player. Contact him for private coaching to improve any aspect of your game. 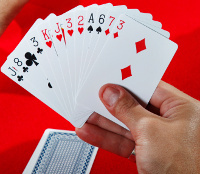 Otherwise, just come and join us to play Bridge at The Henley Bridge School – we’d be delighted to welcome you for a friendly game!